Surround yourself with scenic beautify when you stay at the Embassy Suites Napa Valley. Located in the heart of Napa and Sonoma Wine Country, this renovated hotel makes the perfect base when touring the many wonderful activities and attractions nearby. Each suite is beautifully decorated with a private bedroom and spacious living room. 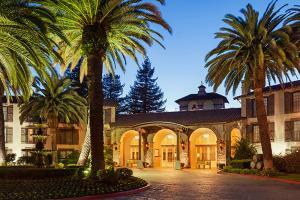 Located in the heart of Napa and Sonoma Wine Country, 60 miles from the San Francisco International Airport.